Contact us for more information. 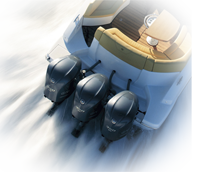 We are a main agent for Yamaha outboard engines in Ireland, where we offer a complete sales and after-sales service on all new and second-hand outboard engines. Call us today on +353-1-285 3908. Hallmark Indespension boat trailers. 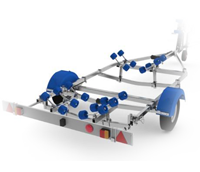 These renowned trailers are available for boats from 2.5 metres upwards. Call us on +353-1-285 3908. HALLMARK INDESPENSION boat trailers. These renowned trailers are available for boats from 2.5 metres upwards. Indespension trailers are famous for their ease of use . 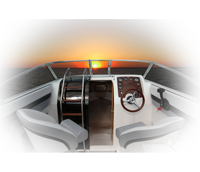 Please get in contact for more information or advice on the boat trailers we sell. Howth Yacht Club, Clontarf YC, Skerries SC, Dunlaoghaire Motor YC, Royal Irish YC, Royal St George YC, National YC, Bray SC, Greystones SC, Dublin Bay SC, Courtown SC, Waterford Harbour SC, Dunmore East Adv centre, Banna Sea Rescue, Garda Water unit, Dalkey Divers, Curragh SAC, Ocean Divers, International Fishing Centre Belturbet. Copyright 2016 Killen Marine. Powered by Ecomgolive.ie.